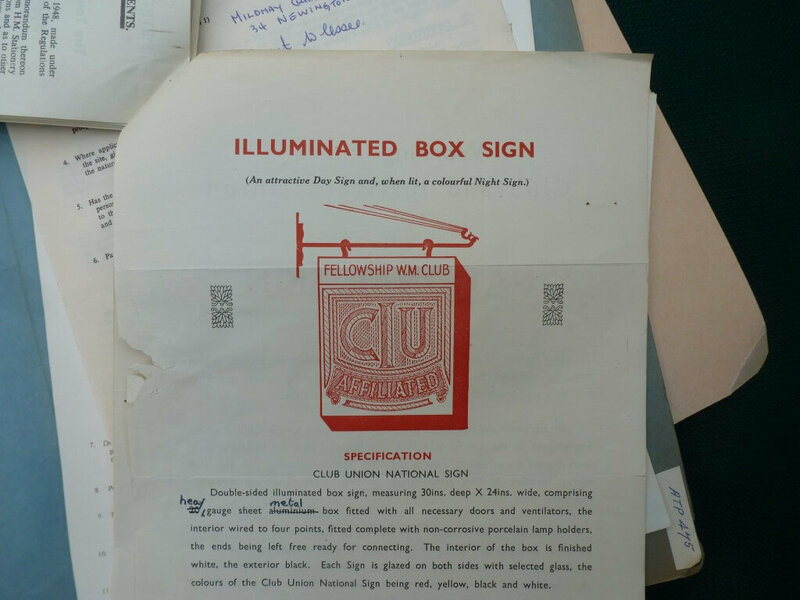 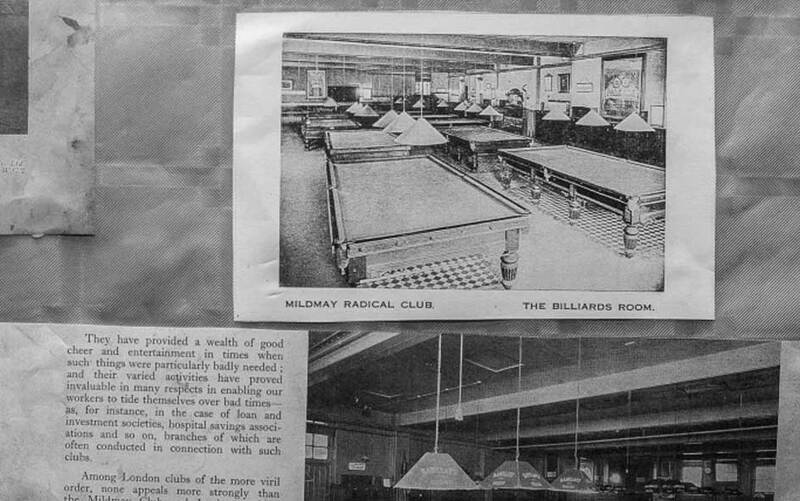 Established in 1888, The Mildmay Club and Institute Union is one of the few surviving working men’s clubs in London. 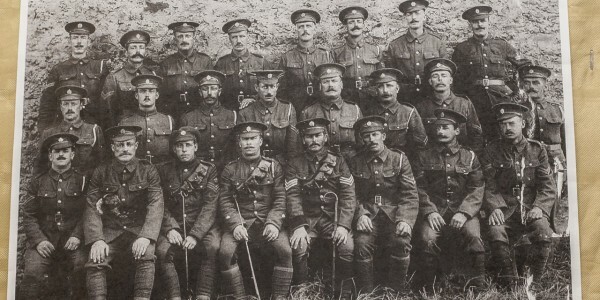 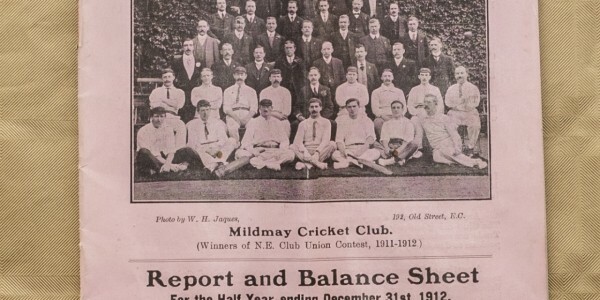 At its peak, the Club had over 3,000 members. 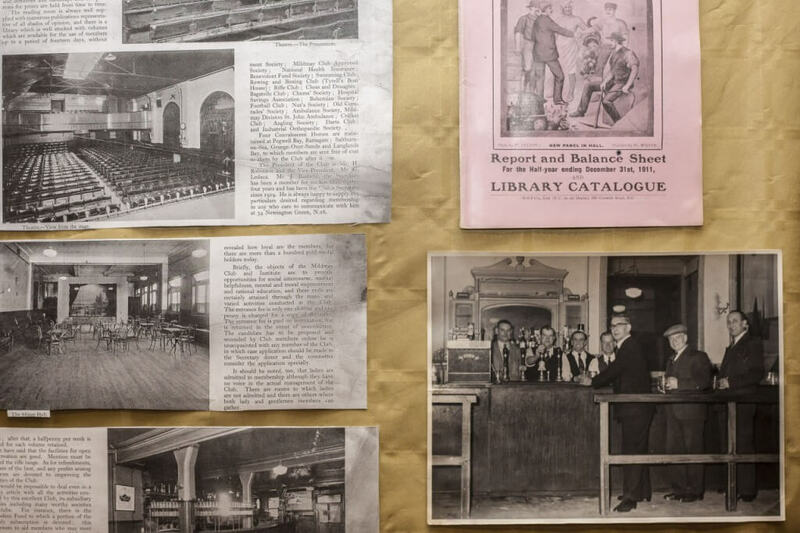 Now that the Club is growing again, we are seeking photographs, stories and memories from throughout the club’s history to share on the site. 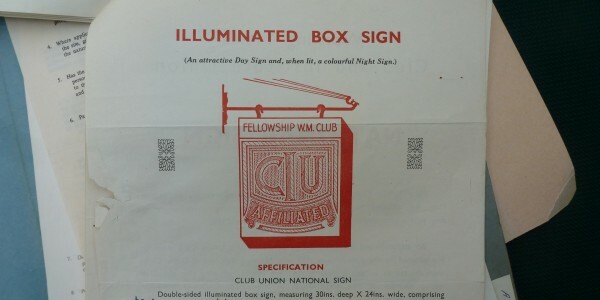 Please use the contact form if you can help. 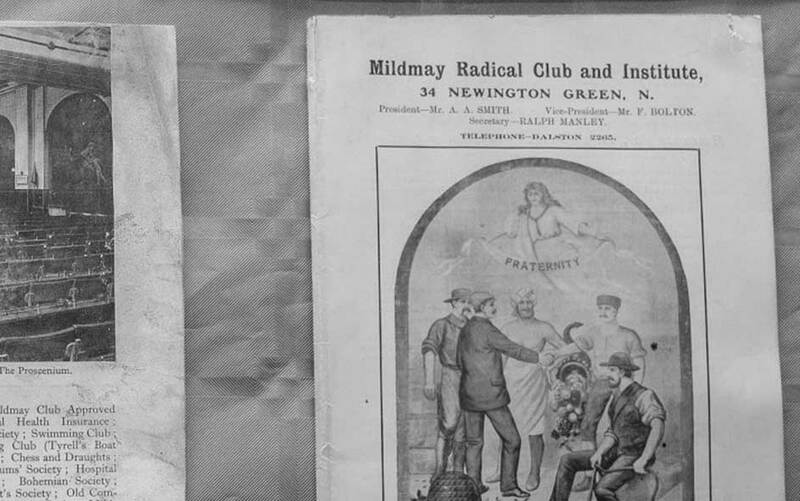 Mildmay Radical club opened in 1888 at 36 Newington Green Road (Islington) and moved to a newly built clubhouse at 34 Newington Green, near the Unitarian chapel, in 1894, after the vicar of St. Matthias castigated its ‘pernicious influence among the young’. 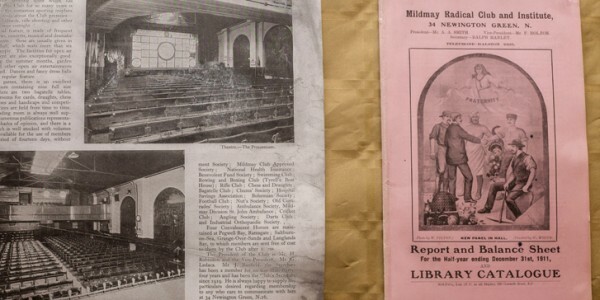 Rifle ranges were added to the facilities of Mildmay club in 1907 and 1921. 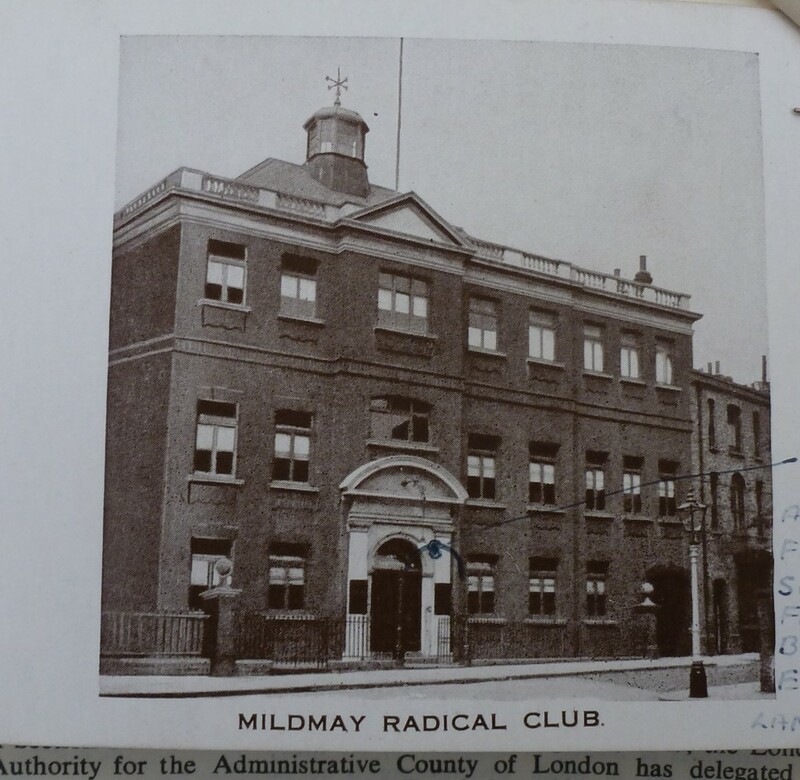 In 1930 it changed its name to Mildmay club and institute, and became nonpolitical; in the 1950s it staged weekly variety shows. 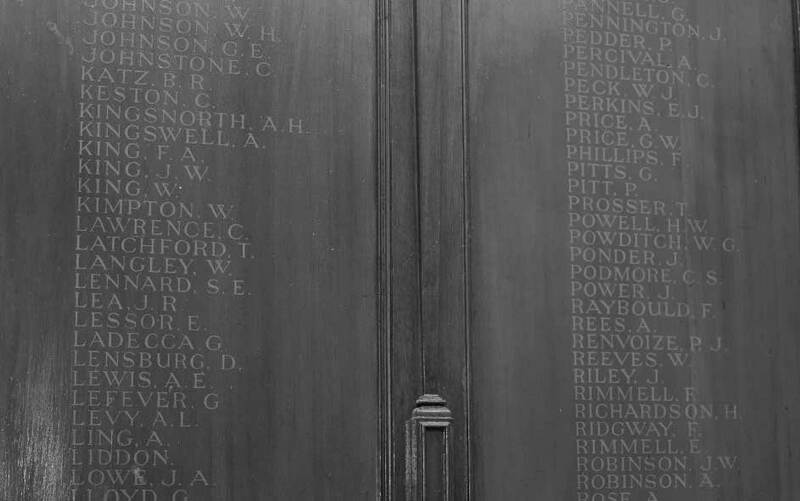 Source: A History of the County of Middlesex: Volume 8, Islington and Stoke Newington Parishes. 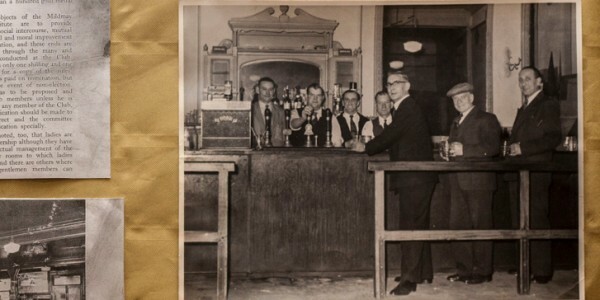 Originally published by Victoria County History, London, 1985. 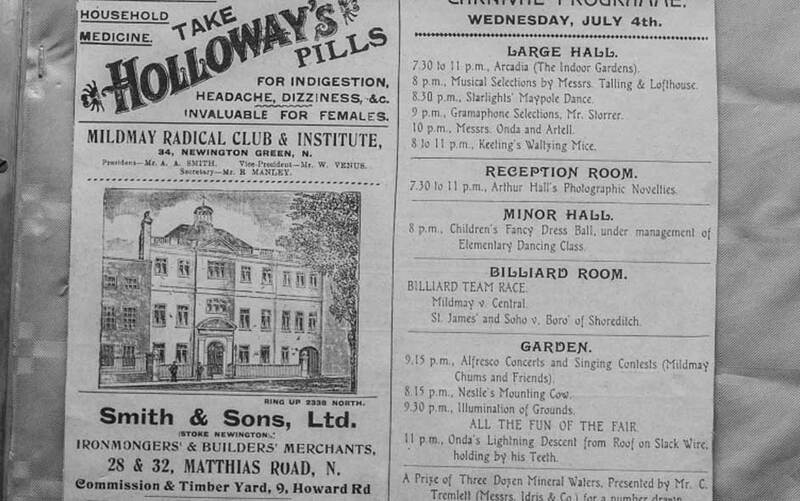 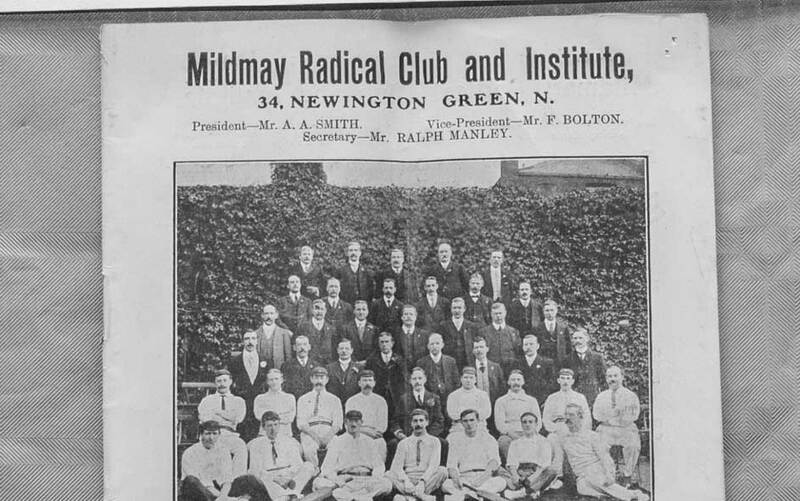 The Mildmay Radical Club and Institute moved to Stoke Newington Green in 1894. 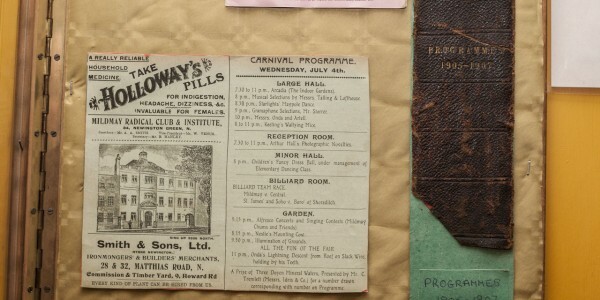 Member and architect, Alfred Allen, designed the building and the foundation stone was laid on 27 October 1900. 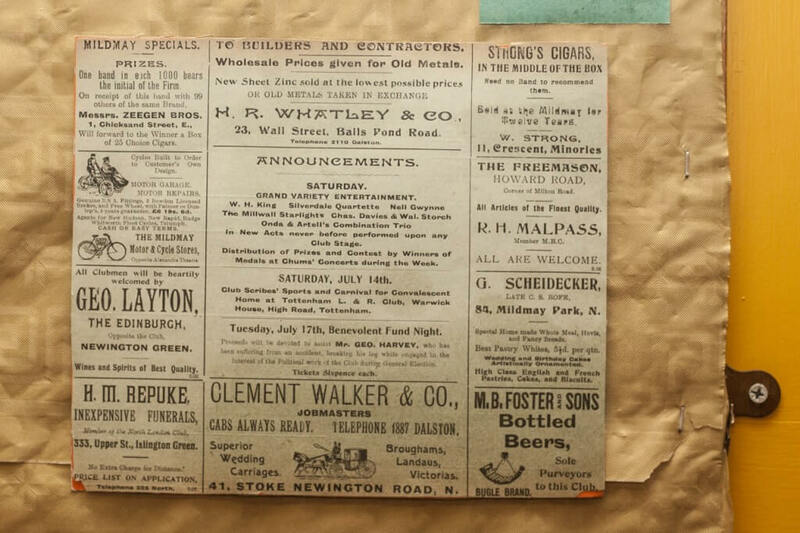 The front is of red brick with restrained Baroque detailing. 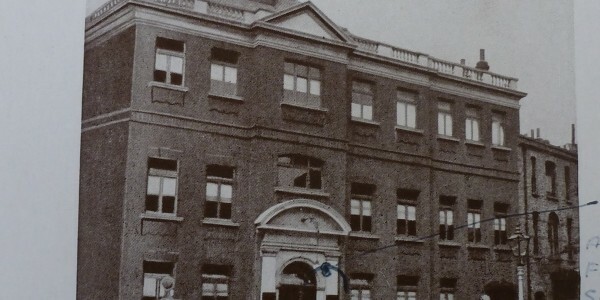 The rear is of stock brick, and incorporates a former memorial hospital and theatre. 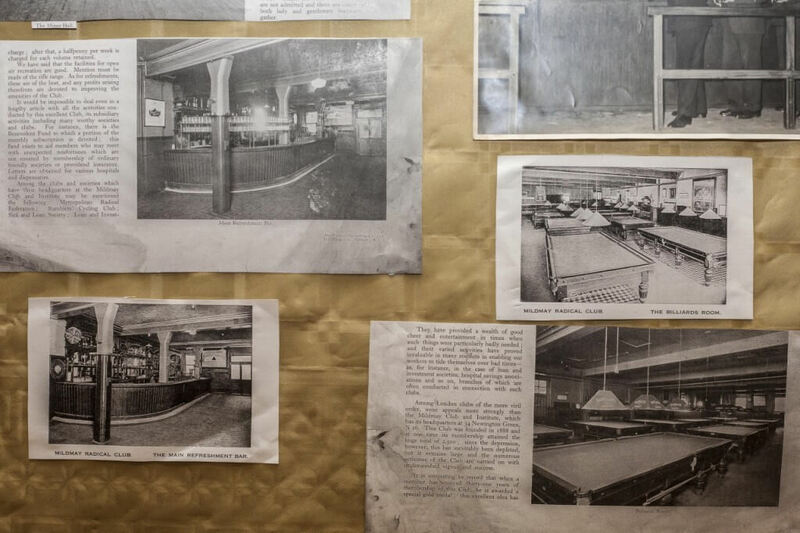 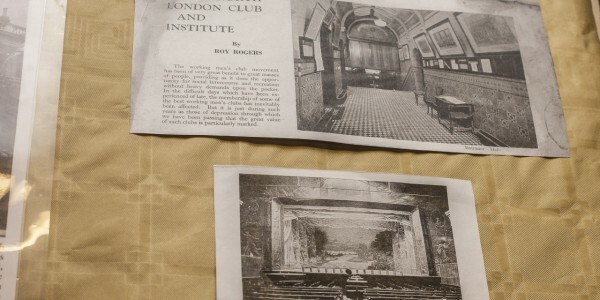 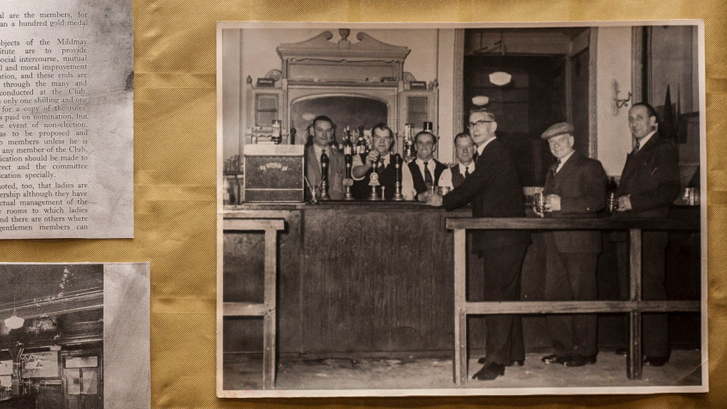 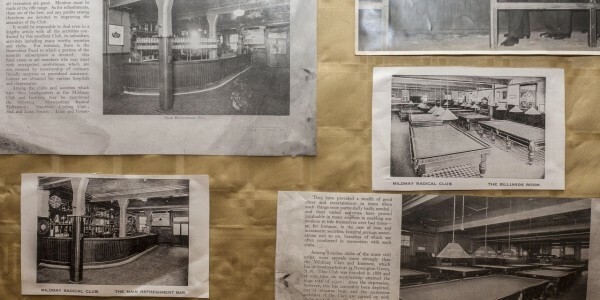 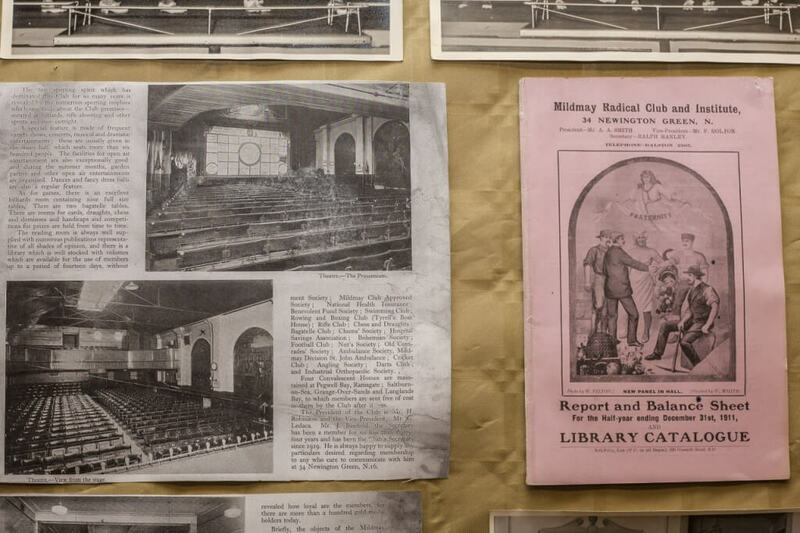 In the picture of the snooker room, members may recognise the linoleum that – like many parts of the club – still stands today nearly 100 years later. 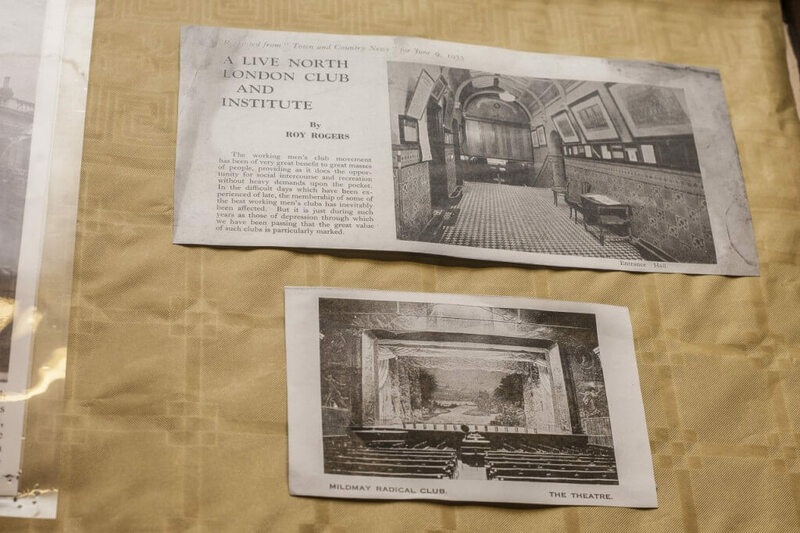 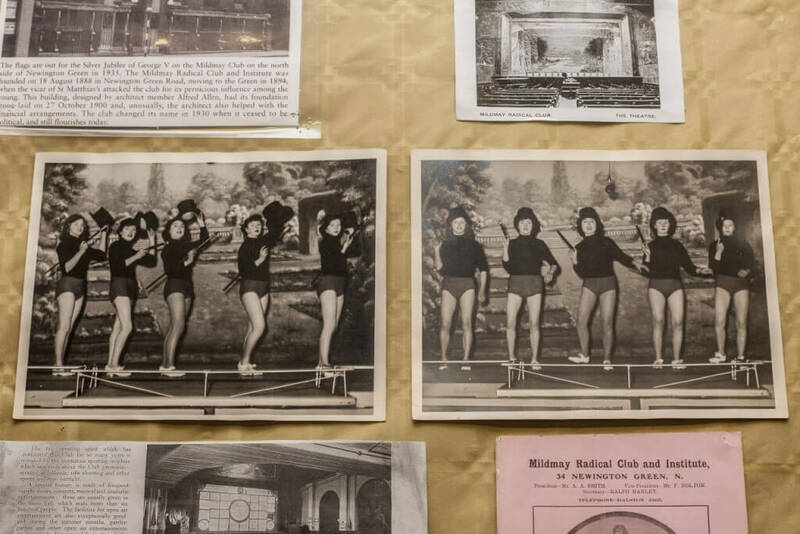 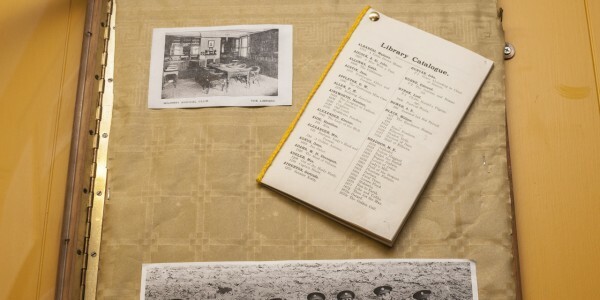 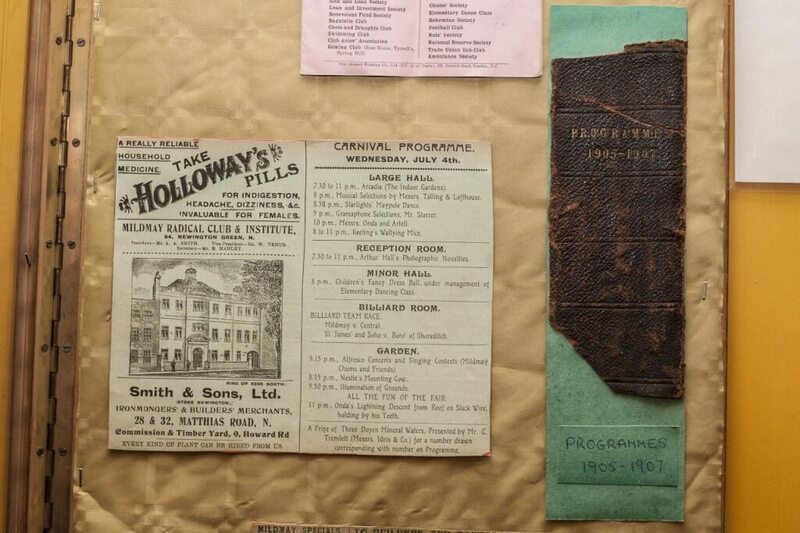 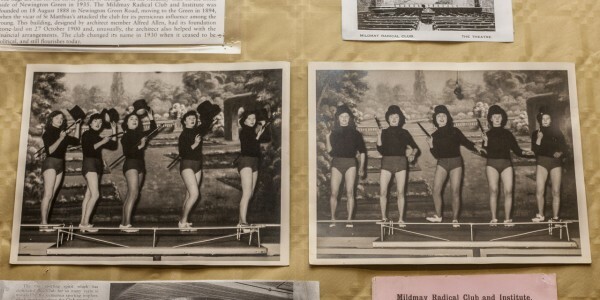 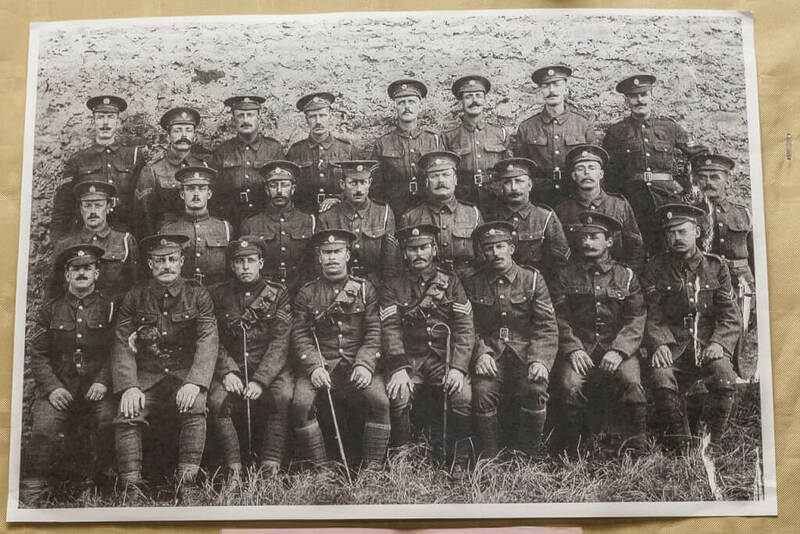 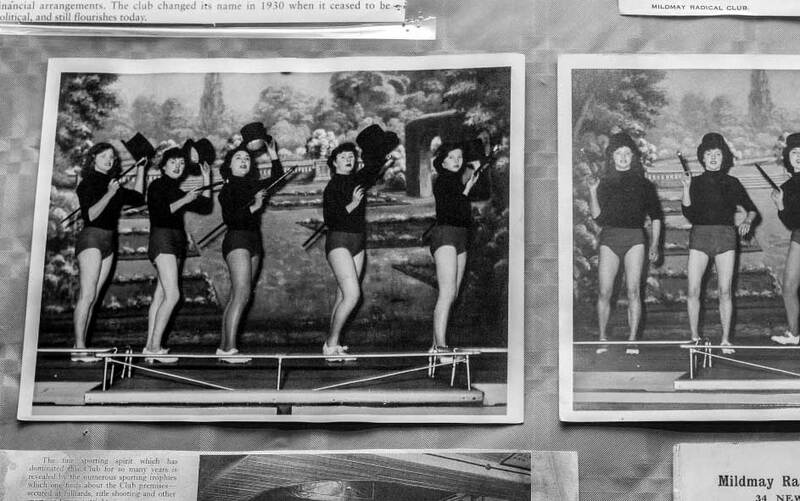 Click to view the slideshow here to see our growing collection of heritage images. 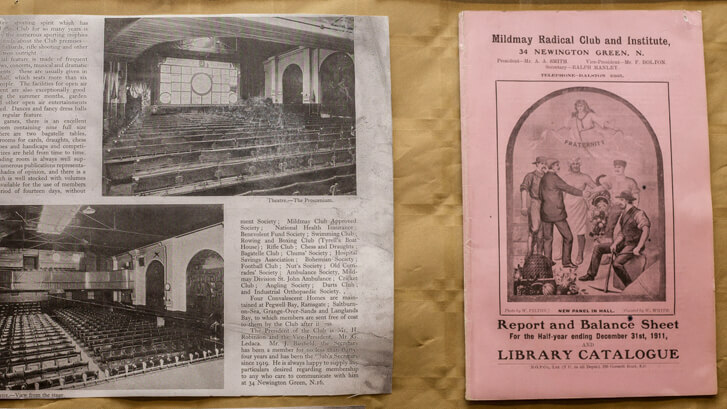 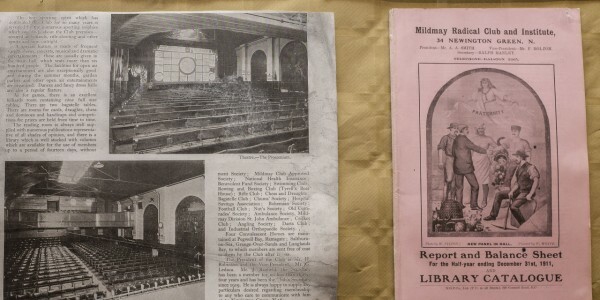 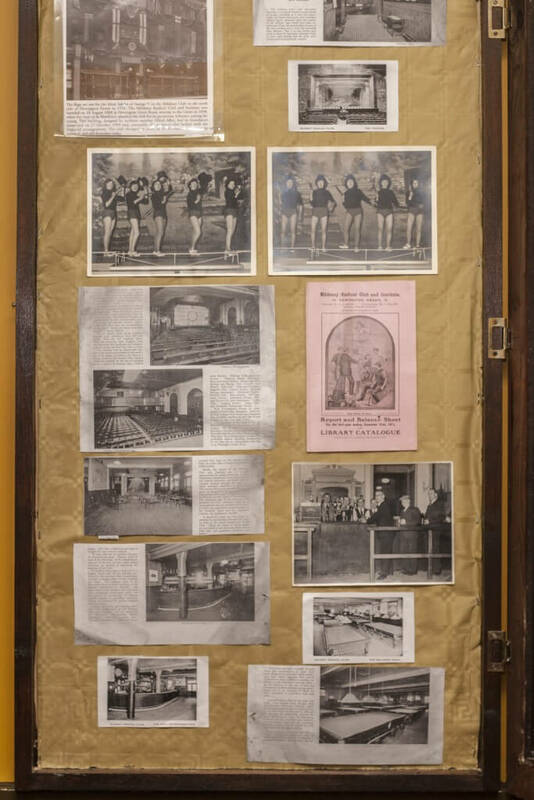 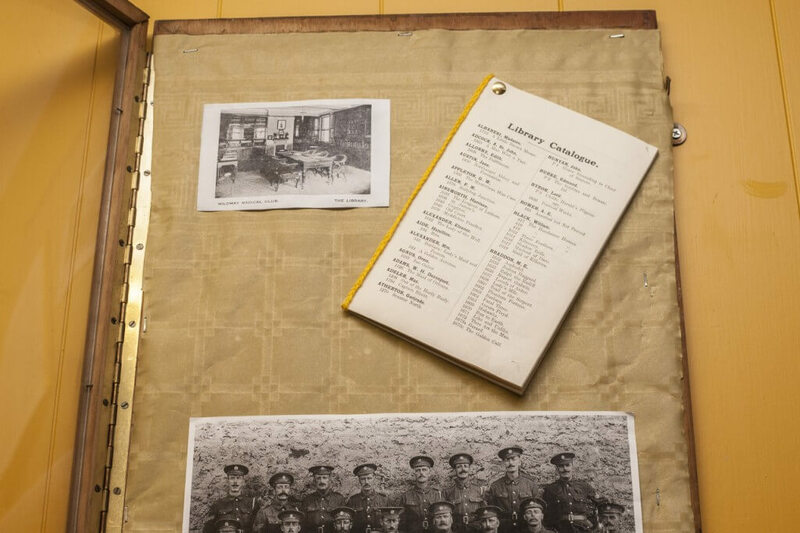 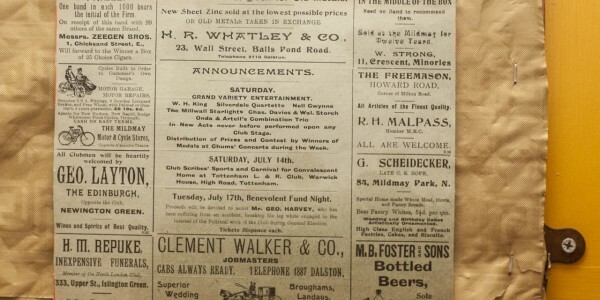 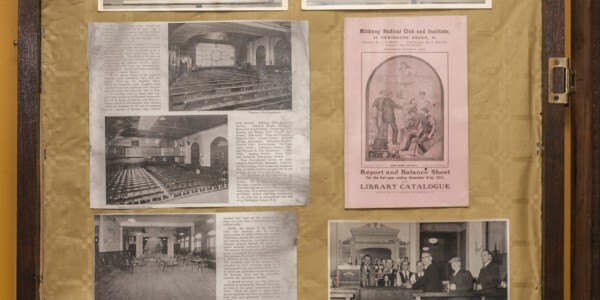 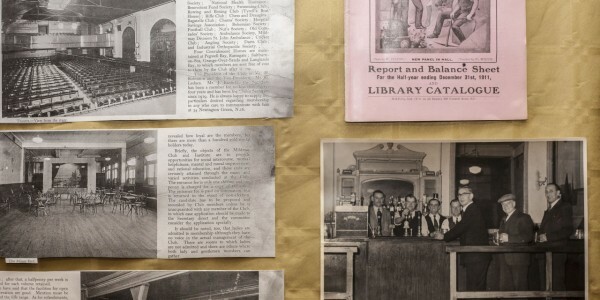 Original newspaper cuttings are displayed in the Club Entrance Hall. 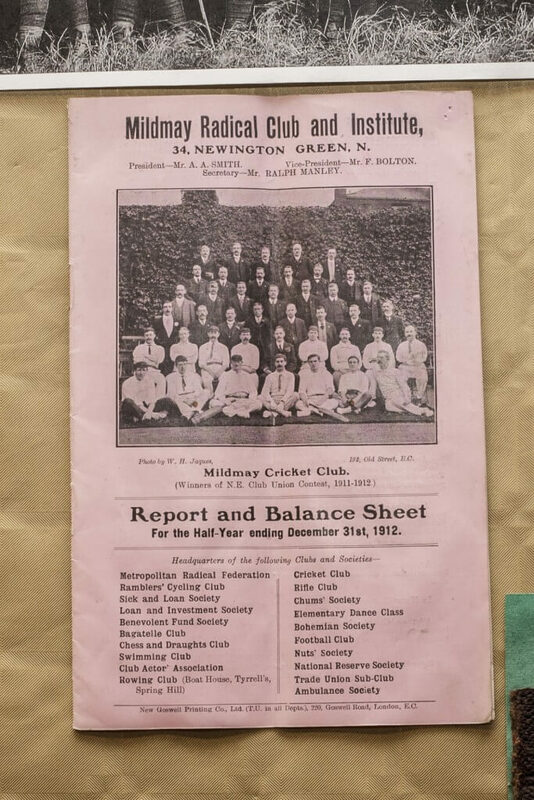 If you have any further information or images regarding the club’s history please contact us using the website contact form.